One of the most popular events at Walt Disney World is the annual Night of Joy weekend, and the headliner talent has just been announced. New this year, the concerts will take place at indoor and outdoor venues at ESPN Wide World of Sports Complex, instead of at Magic Kingdom. Guests will have ticket options allowing theme park entry, as well. If you didn’t get tickets to this year’s sold out Night of Joy event at Walt Disney World‘s Magic Kingdom, there is still a chance to see all the great music. Disney will be streaming both nights, starting tonight, and concluding tomorrow, live online, starting at 7:30 ET. Night of Joy returns to Walt Disney World for its 32nd year with a two-night roster of the hottest Christian and Gospel artists September 5 and 6. Friday – Hillsong United, Chris Tomlin, Matthew West, For King & Country, and more. Saturday – Skillet, Casting Crowns, MercyMe, Rhett Walker, and more. Christian and Gospel music fans will come together to celebrate the 31st edition of Walt Disney World’s Night of Joy music festival the weekend of September 6-7, 2013. For the first time, Steven Curtis Chapman and Michael W. Smith will team up together for a performance, as well as perform separate sets. Returning favorites include MercyMe, TobyMac, Skillet, and Newsboys. The event takes place at Magic Kingdom, so attendees can enjoy the park attractions during the evenings. One-day tickets to Disney’s Night of Joy are $55 plus tax in advance and $65 plus tax the night of the show (if available). Two-night tickets are $99 plus tax (advance purchase only) and group discounts are also available. To purchase tickets or for more information about the event, visit NightOfJoy.com. It’s one of the longest music festivals in Orlando, and Night of Joy is returning to the Magic Kingdom at Walt Disney World for its 30th year. September 7 and 8 are the dates for this year’s contemporary Christian music festival. Sixteen artists will take to the three stages set up – the Cinderella Castle Forecourt Stage, the Galaxy Stage, and the Rockettower Plaza Stage. Friday will offer Casting Crowns, Chris Tomlin, NEEDTOBREATHE, Brandon Heath, Red, Francesca Battistelli, Royal Tailor, and Disciple. Saturday’s line-up is MercyMe, Third Day, Lecrae, Theresa Bailey, Yolanda Adams, Thousand Foot Krutch, Kutless, Dara Maclean, and Chris August. The official Disney Parks blog has the exact times and stage location for each artist. Night of Joy is an after-hours event, running from 7:30pm to 1am each evening. In addition to the music, many of the Magic Kingdom’s attractions will be open, as well. Tickets may be purchased in advance for $52.95 (plus tax), for each day. If still available, tickets may be purchased day of at the park’s ticket windows for $62.95 (plus tax). This is a separately ticketed event – regular admission tickets and passes will not work. 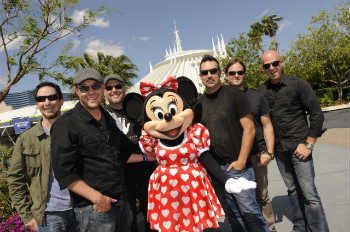 Returning for its 27th year, the Christian music festival known as Night of Joy will be held at Walt Disney World September 10 and 11, 2010. The two-night event runs from 7pm until 1am Friday and Saturday, after regular park hours. 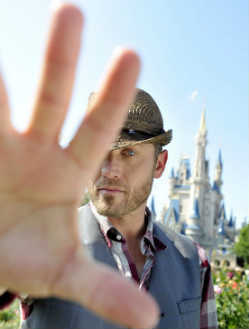 Both nights the Magic Kingdom will be filled with music as some of the hottest artists play throughout the park. Scheduled to appear on Friday are Chris Tomlin, David Crowder*Band, Casting Crowns, BarlowGirl, Thousand Foot Krutch, Group 1 Crew, Tenth Avenue North, and Sidewalk Prophets. Scheduled to appear on Saturday are Third Day, mercyme, Family Force 5, Red, Day of Fire, Smokie Norful, Lecrae, and Britt Nicole. In addition to the concerts, many of the park’s attractions and rides will also be up and running. Tickets are available at the Magic Kingdom entrance and are $57.95 (plus tax) per person, per night. For more info, visit the Night of Joy website.